While I was visiting home last month, Mom and I talked a bit about retirement. She hopes to be retired by age 66 - because that's when she gets full social security benefits (according to the government website). For anyone born 1960 or later, full retirement benefits don't start until age 67. So, if you're 30 you get full benefits in 2046 or 2047. 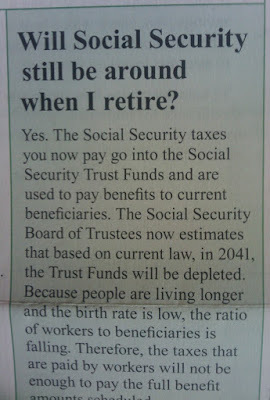 I know what you're thinking: who knows if social security will be around that long?!?! Well I have the answer - NO. 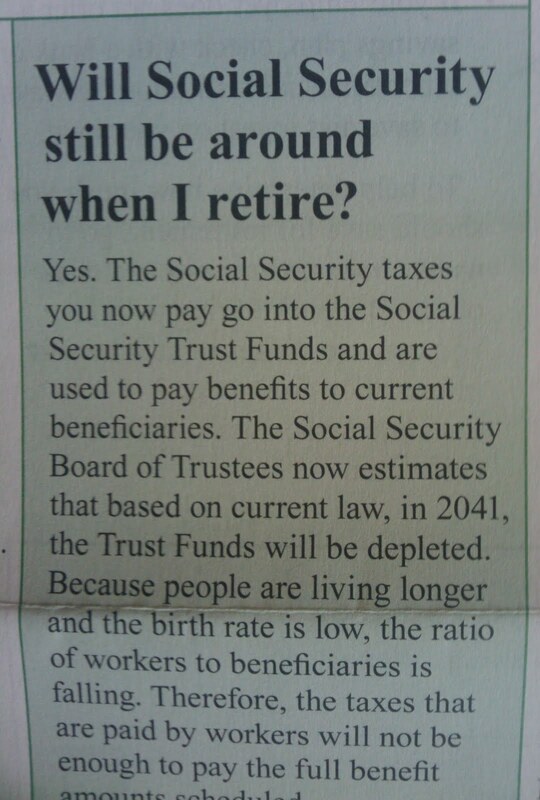 To the right is an excerpt from a social security document I received this year. Basically, they expect the funds to run out in 2041. I know this isn't breaking news, but I was surprised to see it spelled out so directly. Well, at least my folks will see a piece of it. 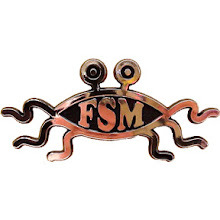 So where does that leave the rest of us? Because I'm a financial masochist, I keep a close eye on my 401k and IRA. Occasionally I will opt for the special torture of a retirement calculator. To retire at age 60 and have my current salary, I need to round up $2,573,000. To reach this 2.5 million dollar goal, I must sock away roughly $2500 month. Sure, I have that lying around. Hoo-boy is that some depressing s#it. It gets better...I have this Roth IRA. When I got laid off in 2003 I rolled my 401k into a Roth IRA. According to, well, everything they tell you, a Roth is this magical thing that will compound like crazy. If you start young enough (like in your early 20's, which I was), a Roth IRA is supposed to make you a millionare by the time you retire. To date, I have made $750. Ouch! That calculator is the biggest POS. It said I have to save an additional 3.5 million! I built my own calculator in excel - so I would have an understanding of how all the numbers play out. Funny how my calculation says I have to save about 450k over the next 15 years - a huge difference. I factor in getting 0 from SS. You probably need to save about 600k over the next 30 years. 15k/yr 35-45 20k/yr 45-55 25k/yr 55-65. The problem with the crap calculators is they spit out some huge number, people say "oh that's impossible", and end up saving nothing. Good luck. In your 30s is the time to be thinking about this and taking action.